Virginia Magazine recently visited campaign chairman Gordon F. Rainey Jr. (Col ’62, Law ’67) in Richmond, Va., where he is chairman emeritus of Hunton & Williams law firm. 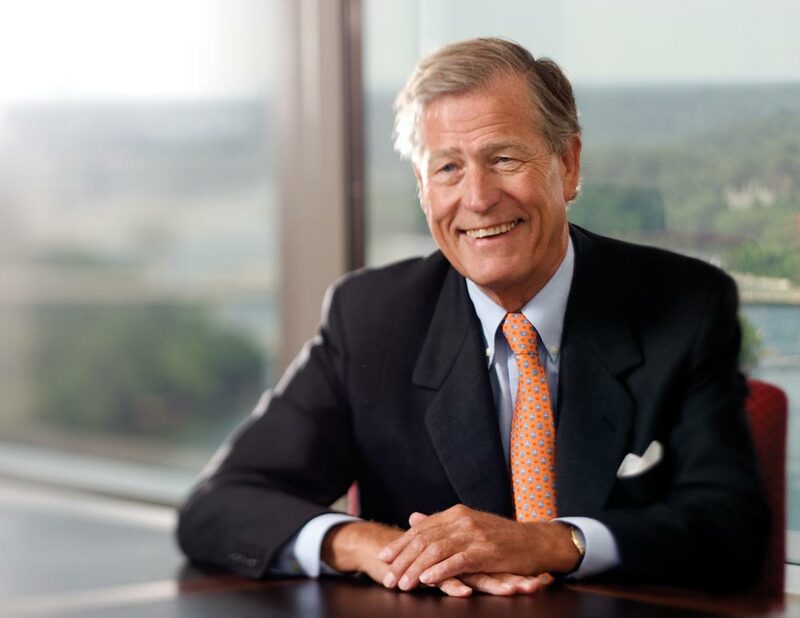 A former rector of the University, former president of the UVA Alumni Association’s Board of Managers and current member of the University’s Board of Visitors, he shared his thoughts on what the campaign aims to accomplish by its 2011 conclusion. Virginia Magazine: The University is publicly kicking off a $3 billion campaign. In broad terms, what is the money going toward? Gordon Rainey: Many of us are already on the road quite a bit, including President Casteen, talking about this campaign. We summarize the “why” like this: Through the campaign, we will elevate and maintain programs equal to the world’s best, and we will build a foundation so strong that the vagaries of public finance cannot shake us from our position as the nation’s premier public university or deter us from joining the nation’s finest, public or private. The University will demonstrate that a public institution, given the freedom and the resources to shape its own destiny, can fulfill its public mission, achieve true distinction and transform the course of learning and inquiry, all at the same time. It can become the ideal of higher education in America. I think we have a wonderful opportunity. Our founder had in mind a great national public university, and he would have said “international” if he were here today. Never have we been closer to the attainment of that founding vision. But this is very competitive stuff. Excellence in public higher education is vital to the public interest, whether conceived locally or nationally. We also have a responsibility to help the University fulfill its obligations to serve the public good and to sustain a free people through the promulgation of knowledge. Virginia Magazine: The state has had difficulties meeting its obligations to higher education. Shouldn’t it be shouldering more of the burden? Rainey: It’s not a lack of good will on the part of the political leaders; it’s a lack of resources, given state priorities. Sometimes people say, “Well, nuts to the state.” But let’s not forget that the general appropriation for the University is currently in the $149 million range, or about 8 percent of the total operating budget. It would take $3 billion in totally unrestricted endowment to replace that revenue stream on an annual basis, so we’re going to have a very strong partnership with the state for the foreseeable future. Virginia Magazine: Given the growing importance of private money and private support, why is it important that UVA remain a public institution? Rainey: Mr. Jefferson thought that was pretty important, and so does the Board of Visitors and so do all of the citizens of the Commonwealth. This is not about going private and never will be about going private. We’ve restructured our relationship with the state in the last two or three years in a very positive way, but we will always be a public institution. Now, what we may become if we’re successful in this campaign—and we will be—is essentially a privately financed public institution. Virginia Magazine: Rightly or wrongly, much attention is paid to the U.S. News & World Report college rankings. What effect will the campaign have on UVA’s standing among the nation’s top universities? Rainey: If we achieve what we set out to do, the rankings will follow. There are many measures of quality in higher education, and the results will be seen in all of them: our national rankings, the competitiveness of our faculty salaries, the citations of our work in scholarly journals, the satisfaction of our students, and the success of our athletes both in competition and in the classroom. Rankings are not everything; what’s more important is the quality of the educational experience for the student and the quality of our academic programs. Our goals are to stand in the top tier among our peers in the strength of the education we provide, the significance of the discoveries we generate and the impact of our efforts to improve the human condition. These are far more important than any rankings. I could give you a number of illustrations of how the campaign will change the University, but let’s take the South Lawn Project as an example. The University badly needs to complete that project as soon as possible because it is going to have a significant influence on the faculty-student ratio, which in turn could influence the rankings. By creating more space for additional faculty, class size will fall, and the student experience will become even better. That’s where our focus is—on the education of our students. A special committee of the Board of Visitors, working with the president and the provost, is almost finished putting together a 10-year academic and financial plan. As part of that effort, the board has done a careful analysis of where to commit the resources that will have the effect of really moving the needle. There are some areas where we could pour billions of dollars and it would not affect our relative standing much at all. There are other areas where we can invest with greater effect. We’re being strategic about this; it’s not just being in the top 15 for the sake of being in the top 15. It really has more to do with ensuring that we make an already powerful educational experience the best it can be—for both undergraduates and graduate students. 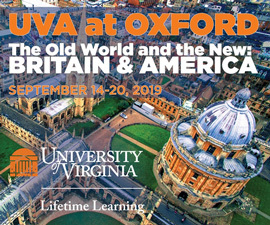 Virginia Magazine: For alumni who are considering gifts, can you talk a little more about management of University funds? Rainey: Not only is the University one of the most efficient, best-run public universities in the country, we also have an outstanding investment management team at UVIMCO [the University of Virginia Investment Management Company] that manages our endowment. Last year we had a 14 percent return on our endowment, and that was right up there with the best in the country. Our returns over the last 10 years have consistently been very strong. Our alumni should feel confident that we are good stewards of their philanthropy. The restructuring legislation that the General Assembly passed two years ago is also very important. Increasingly, we will be making our own decisions, but within the state system’s goals and objectives for higher education. We are going to be free to do some things, particularly in the area of financial planning, that we have not been able to do before. Our board now has control over the revenue side of our budget, which frankly was not the case before the legislation. These are positive developments that largely free the University to chart its own course, and while that course will increasingly be funded by philanthropy, it also will be funded by earnings on our endowment as well as tuition revenues. 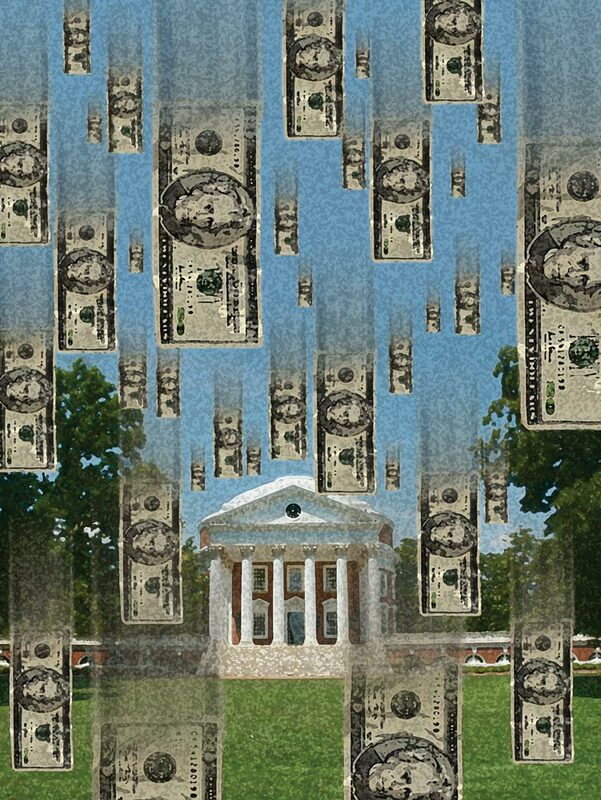 Virginia Magazine: Does this mean that tuition will be on the rise? Rainey: While taking measures to remain affordable to all students—remember that we have become a national leader in our commitment to financial aid through AccessUVa—the University necessarily will have to depend more than ever on tuition and fees. Tuition will increase at a measured and predictable pace to offset the effects of reduced state support. The University also will depend more than ever on the generosity of alumni, parents and friends. Virginia Magazine: What counts toward the $3 billion campaign? Can you give to the Alumni Association, the Virginia Athletics Foundation or individual schools? Rainey: Everything counts, wherever it’s directed. Our greatest need is for unrestricted endowment, but the University always wants to accommodate the interests and passions of our donors. Virginia Magazine: Would you talk about the importance of unrestricted endowments? Rainey: Unrestricted dollars are the hardest to raise, but in many ways they are the most valuable for the schools and the University as a whole. Unrestricted annual funds and income from unrestricted endowments give us both agility and stability—the agility to deploy resources immediately where they are needed, whether for faculty salaries or deferred maintenance, and the stability to support academic programs and new initiatives that may take five or 10 years to get fully up and running. Unrestricted endowment is discretionary. You can use it for all of the things that it takes to run the University on an ongoing basis. People look at us and say, “You’ve got $3 billion in the bank,” but a huge percentage of that is restricted, which doesn’t help underwrite the operating budget. Virginia Magazine: There are many major capital projects among the goals. 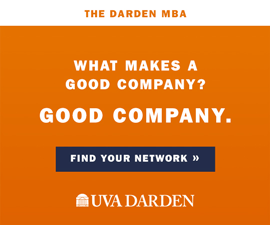 How will they help transform the overall UVA experience? Rainey: We intend to construct new buildings and landscapes that embody the principles of Mr. Jefferson’s Lawn—continual interaction among students and faculty, attractive common areas, places that inspire our best work. Remember, the important thing is not the buildings, but what’s going on inside the buildings, and that’s where I would invite our alumni to focus. This campaign is academically based. It’s not bricks-and-mortar-based, but you have to have an adequate infrastructure if you hope to attract the best faculty and the best students. It’s all sort of circular, but what really is important, and what we can provide in ever-increasing levels of quality, is the academic experience. But the two obviously go together, particularly in the area of science and technology. Let’s take science. We need to be able to attract world-class scientists, and in order to do that, we need to be able to provide lab space and the physical infrastructure that scientific inquiry requires. So that means buildings, and it also means having enough unrestricted endowment to be able to maintain and operate those buildings. Another field that is growing and is very important is health care; in new flexible and innovative buildings for the schools of nursing and medicine, we will educate young professionals who will shape the future of health care. Virginia Magazine: Tell us what the hopes are in science and technology. Rainey: The University has long enjoyed a wonderful reputation in the humanities. We have not been viewed as being as strong in science, so that’s an area, among others, where a focused commitment of resources can have the effect of enhancing the academic experience. We will attract the most promising students seeking advanced degrees and give them the support and services they need to reap the full benefits of their graduate training. Amid warnings that the United States is losing its edge in science, technology and other disciplines, we will do our part to build the pool of talent necessary to reinvent our economy and to compete on a global scale. Another area is the performing arts, and the arts generally, where we also have not been strong. We’ve made commitments to create the infrastructure where we can offer students the opportunity to explore those interests. Virginia Magazine: How do we generate enthusiasm and support for this new direction? Rainey: The fact that many of our alumni have backgrounds in the humanities should not lead to the conclusion that they have no interest in science and technology. We’re trying to prepare our students to go out and be leaders in this country and the world, and the right way to go is to offer them broad and deep exposure to science and technology. Virginia Magazine: You’ve seen a lot of changes at UVA from your days as an undergraduate. What is your vision for the University in 20 years? Rainey: Never has there been a greater need for what this institution represents: intellectual rigor, the free and open exchange of ideas, collegial collaboration in the pursuit of knowledge, dedication to the public good, and honor and integrity in all endeavors. And never has there been a greater need for the University’s most important product: enlightened and ethical leaders who leave the Grounds prepared for public life—in their communities, in their professions, in the world at large. In 20 years, I predict we will have at the University a deep well of expertise and energy to advance the public good. We will be providing national leadership in the alleviation of disparities—disparities in access to health care, to effective education, to adequate shelter. We will be promoting the health of our children, the health of our communities, the health of our democracy, the health of our planet. We will be relieving suffering and saving lives. In ways large and small, we will be making the world a better place. Three billion dollars is a lot of money. How will it be deployed to have the maximum impact? Each school and program has undergone a thorough planning process to determine what it needs to realize not only its own goals, but the University’s overarching vision. The University also will seek support for broader initiatives that cross disciplinary boundaries. “This campaign is about planned improvement that builds on strengths developed over time, and it is about carefully disciplined change to assure the University’s future,” says University President John T. Casteen III. “We have focused on specific improvements to make the University better, stronger and more effective in meeting the nation’s needs and in educating effective citizens and leaders for the future. University officials caution that plans may change over the course of the seven-year campaign. Priorities shift; new opportunities arise, while others don’t materialize. Some assumptions spring leaks, while ideas once thought unpromising prove meritorious after all. As of mid-summer, campaign leaders were working from a $3 billion plan that breaks the goals down into three areas: enhancing the student experience, bolstering research and serving the public. In addition, the campaign is seeking $70 million in unrestricted funds to give the University flexibility in addressing future priorities. The largest chunk, $1.47 billion, is ticketed for providing “the most rewarding educational experience available anywhere,” according to the plan. That total includes $554 million for scholarships and fellowships, including need-based financial aid, the Jefferson Scholars program and fellowships for graduate students. Another $535 million is designated for new and expanded facilities, including the South Lawn Project, the John Paul Jones Arena, several major arts facilities, and new buildings for the commerce, medical and nursing schools. Enhancing the curriculum—to include new research support, international study opportunities and cross-disciplinary programs—will draw another $264 million, and $123 million will go toward professorships and faculty support. The second-largest portion of the goal, $947 million, is designated for research. Much of that is meant to build endowments to attract and retain world-class faculty, students and graduate students ($402 million) and sustain programs, including “centers of excellence” in science, engineering and biomedicine ($244 million). New facilities, including much-needed laboratory space, will require $268 million. Another $33 million is to be set aside for jump-starting new research initiatives. The third major area, public service, will receive a $603 million boost. The bulk of that, $422 million, will go toward health-care priorities, including a new clinical cancer center and a children’s hospital facility. Other areas of emphasis include improving public health and addressing international health concerns. Major public outreach initiatives, such as bolstering pre-K-12 education, will require $91 million, including a new facility for the Curry School of Education. Finally, $90 million is tagged for various centers and institutes, including those that encourage greater participation in the democratic process, foster broader understanding of the workings of government, advance global outreach and promote the design of sustainable, livable and affordable communities.